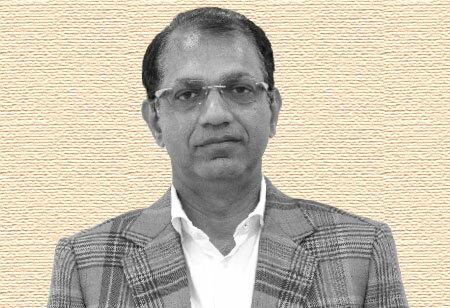 M r.Raj Kumar, Chairman and Managing Director of Rodic Consultants is a man of exemplary character, a role model. He grew up in Bihar and belongs to a family of engineers. His interest towards engineering aspects of bridges, roads and highways since the young age has influenced him to a large extent. Growing up, he clearly understood the criticality of infrastructure towards overall economic growth and felt that this would be the sunrise sector for decades to come. With time, gaining experience in the field, his desire to contribute to society propelled him to start Rodic Consultancy Pvt. Ltd. in 2000. Besides being the CMD of one of the fastest growing infrastructure consultancy companies, he isa recognized national level shooter. Initially, when the company started its journey, it was purely into providing consultancy services in the road and highway sector. The company was awarded several projects outside Bihar region. Soon, they expanded to other sectors and deployed their expertise in Railways in Sasaram, Hydropower, in J&K, at Kalnaiand Parnai projects and indeed many other areas. Since then, there is no looking back.Today,they are into a whole new spectrum of services in various fields which include such prestigious projects as BanihalQazigund Road tunnel and AguwaniGhatBridgenear Bhagalapur,Bihar, amongst the other 70 projects. Rodic is also engaged in power, Smart city projects. "In the last fiscal year, Rodic has generated a revenue of about 170 Cr." Rodic takes great pride in its cost-effective and quality services that it delivers to the clients.“We work on behalf of the Govt., where we take care of end-to-end operations and developments of the project, which includes right from design, quality control, environmental impact studies, and other range of activities like selection, contractor, tender process, and more,” mentions Mr.Raj Kumar. The company works closely on several projects for Govt - both national and state development corporations, including National Highway Authority of India (NHAI), Bihar Rajya PulNirman Nigam Ltd., Dedicated Freight Corridor Corporation of India Limited (DFCCIL), and J&K Economic Reconstruction Agency (ERA) among others. Sharing his experience, Mr. Raj Kumar avers “Over the years, we know for a fact that the quality and experience is everything. And, for a smooth and cost-effective project execution, it is always important for a firm like us to emphasize on the transparency and real-time update, inevitably, ensuring hassle-free operations of the project,” he adds. In a span of 18 years, Rodic has had an exponential growth of 100 percent YoY. In the last fiscal year, the company has generated a revenue of about 170 Cr. and anticipates a growth of 250 Cr by the end of 2019. Currently, the company hasa robust team of 1600 people deployed across PAN India. “We have bagged our first international roadways project, in Myanmar. Soon, we will have our presence across other countries. Also, we have identified certain growth areas, which include projects related to smart cities, waterways, and ports,” he concludes.